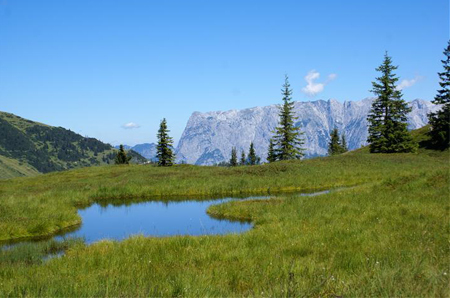 The Alpine kingdom of the Hochkönig is a natural habitat of exquisite beauty and we are proud to be able to live at the foot of this impressive mountain world and to be able to welcome you as our guests. At a height of 1,347 metres above sea level and in the heart of marvellous hiking country. There are countless traditional wooden country cabins waiting for you to discover. There is so much for you to do here whether you want to go walking, mountain climbing, mountain biking or simply to relax and enjoy the rest and gather your strength. You never know, you might even be tempted to go mushroom picking! Our apartments are also the ideal starting point for the most wonderful journeys to the city of Salzburg and the surrounding countryside.